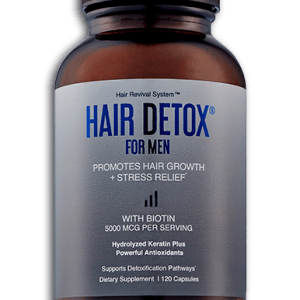 Contains Biotin and Hydrolyzed Keratin to address hormone issues often responsible for hair loss. Enjoy luscious hair, a healthy scalp, and strong skin and nails through the regenerative powers found in nature. Having the beautiful, shiny, lustrous hair you always wanted starts on the inside. 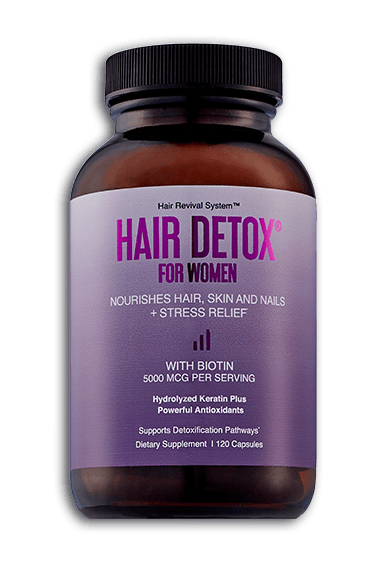 Hair Detox for Women nourishes hair, skin, and nails with Biotin and Hydrolyzed Keratin, and helps combat hormonal imbalances. Nutrient-packed with essential vitamins and antioxidants, each capsule also contains beneficial herbs to helps support the detoxification pathways to create the ideal environment for healthy hair growth and scalp maintenance. Our Women’s formula contains Cranberry Fruit Extract to promote urinary tract health and L-Cysteine for essential protein — nature’s building block and essential vitamins for strong hair for hair, skin, and nails. 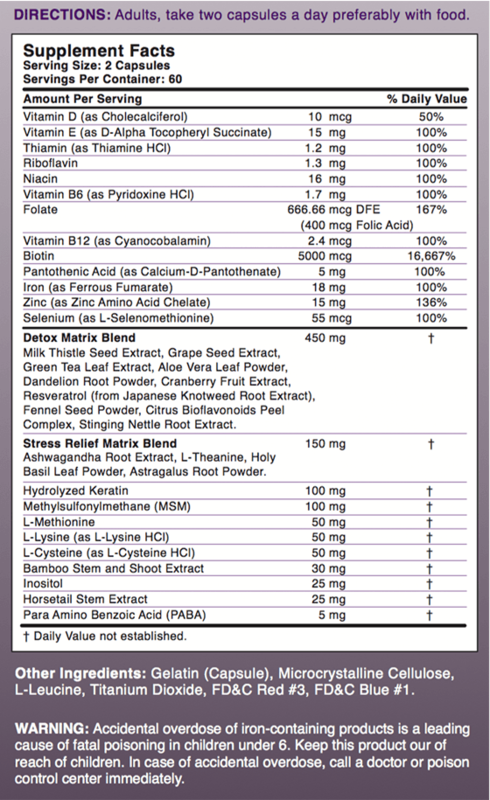 Our hair supplements for women are formulated with a unique Stress Relief Matrix that won’t interfere with energy levels. How to Use: Take two capsules a day preferably with food.